Even Jay Z and Beyonce’s ‘drunk in love’ didn’t take them to first position?…lol. The 26 year old music queen Riri and her cute boyfriend/rapper Drake, 27, have been named “music’s most powerful couple” by Spotify, based on combined streams for each artist. Rihanna also came second with her ex- Chris Brown during her time with him, and that pushed Jay Z and Beyoncé into third place *ouch*. Massive Congrats to them! Meanwhile, I pity Chris Brown, I can imagine him welcoming the news in jail….eiyahhh. This entry was posted in Entertainment, Fashion trends and tagged YAY! 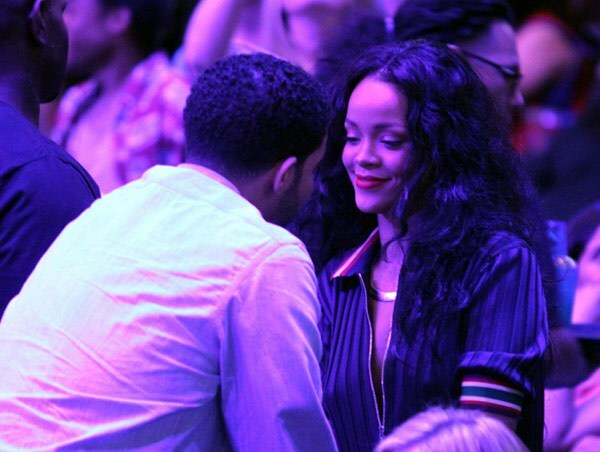 Rihanna and Drake named music's most powerful couple by Spotify.